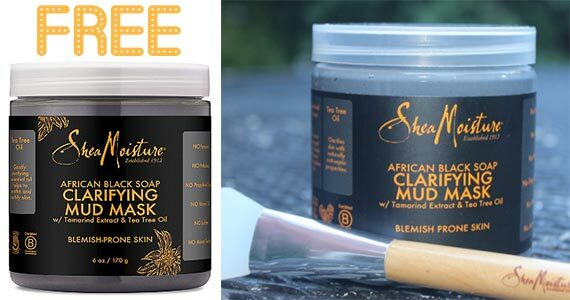 Sign up for a free sample of SheaMoisture African Black Soap Mud Mask! This deep cleansing mud mask helps remove impurities from blemish-prone skin. African Black Soap blends with Tamarind Extract and Tea Tree Oil to clarify and soothe skin. Skin feels clean, softened and refreshed. Click through and enter your information for a freebie. You’ll need to enter your shipping information as well as some info about your skin.